This is Nicola Bridge #7 near Agate. Agate is located between Dot and Clapperton on the old Kettle Valley Railway. The rails have long since been removed from this section of railbed and travel for the most part is pretty easy in almost anything. Agate is on the Spences Bridge end of the Nicola Subdivision. This is not actually where Agate Station stood, it is further east of this spot, that is why I titled the page Agate Area. 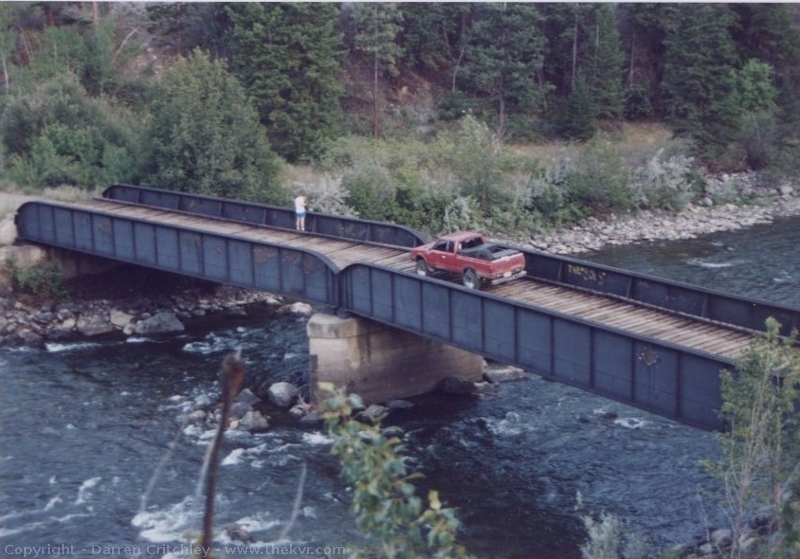 This type of bridge is called a through plate girder and is common throughout the Kettle Valley Railway right of way. It is interesting to watch the terrain change from ranchland to thick trees and rocky terrain as you go from Merritt to Spences Bridge. You can often spot Eagles in this area.